It’s toasty out! 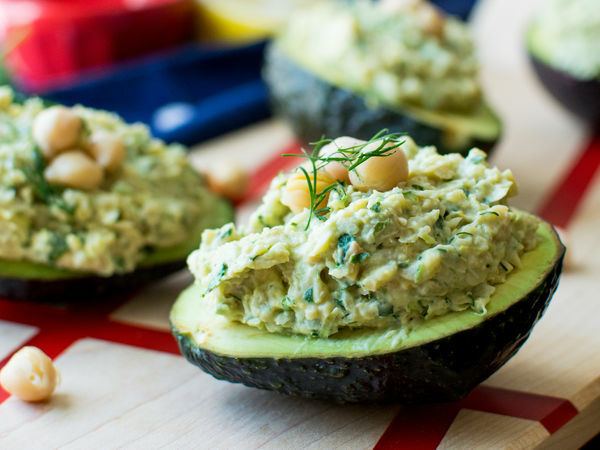 Turn that oven off and enjoy these recipes from other influencers inspired by avocados that will leave your taste buds craving for more. Plus, they are tasty and super healthy for you too, of course! Now give us all the healthy fats! 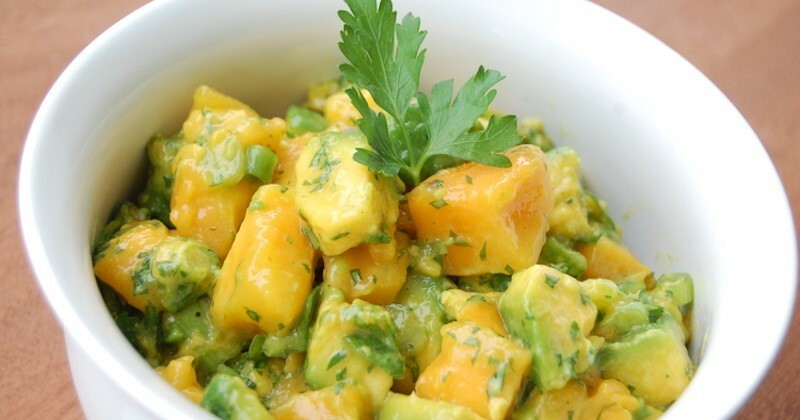 Prepare the avocados by scooping out approximately half the flesh from the center and placing it in a small bowl. Set aside. Add the scooped out avocado, herbs, scallions, garlic and lemon zest to a food processor and pulse until everything has been small diced. Add in the chickpeas and ground mustard. Pulse a few more times until the chickpeas are incorporated and small diced but stop before the chickpeas become a hummus texture. Combine all ingredients in a mixing bowl and mix together until everything is combined. A note on shaving Brussels sprouts––it’s best done with a mandoline or with a very sharp knife. Either way, be very, very careful because I like you and your fingers. The carrots are easily cut into ribbons with a peeler. Either in a blender or with a fork, whisk the olive oil into the tahini, and then blend in the orange juice, maple syrup, sea salt, chili paste, and coriander. Thin with water or more orange juice if needed. Place the shaved Brussels sprouts, carrot ribbons, and red onion in a bowl and drizzle with half the dressing, turning to combine. Set aside while you prepare the remaining ingredients. Zest one of the oranges and set aside. Use a sharp knife to trim the top and bottom off the oranges, and then, working your way around, slice off the peels. Slice oranges into 1/2 inch thick rounds. Slice the avocado. 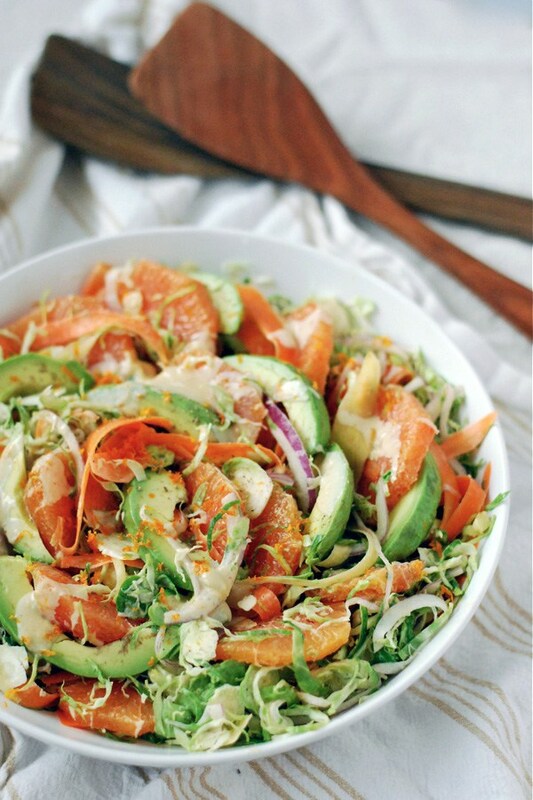 Layer the orange and avocado slices into the shaved vegetables. Drizzle with the remaining dressing, using your hands to better incorporate it, and finish with the reserved orange zest.